"Asians comprise a significant portion of the city's districts, so it's important that our council members know who they're serving and what those communities need," said Howard Shih, AAF's research and policy director, at our City Council briefing on Jan. 28. 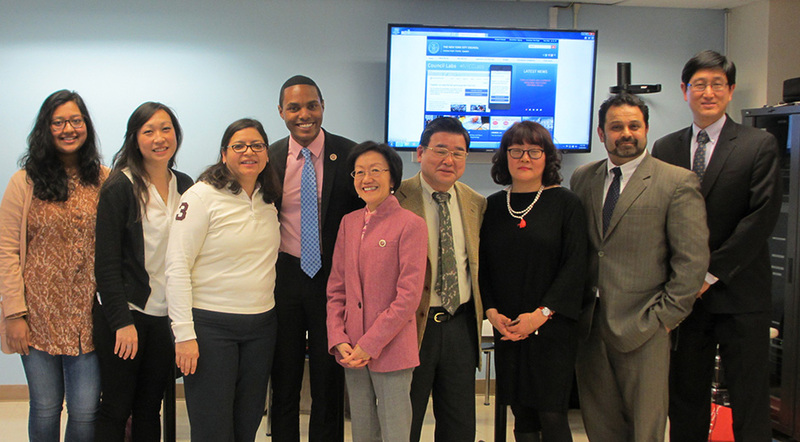 As City Council prepares to decide what to fund in the next fiscal year, we invited council members to learn about the rapid growth of the Asian community across New York City, especially in certain districts, and the subsequent need for more youth, senior, and housing services in all Asian communities. Thank you to the City Council Black, Latino and Asian Caucus; Speaker Melissa Mark-Viverito; and Council Member Julissa Ferreras-Copeland for their support in hosting the event! And thank you to our member agencies Korean Community Services, CAAAV, and Council of People's Organization for their compelling testimonies.